SR Packaging has just introduced a brand new tube concept to its packaging portfolio. 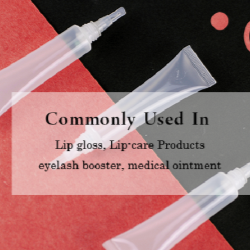 The new tube design features a silicone dropper type spatula for lip gloss, lip balm, lipstick, and many other makeup items. The key feature of this packaging tube is its special, flat silicone applicator with a thickness of just 1mm. 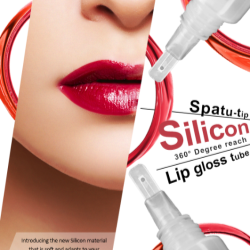 The ultra-thin design benefits exceptionally-soft application that lends itself perfectly to skin care applications, particularly in delicate facial areas or for make-up products..
"Consumers instantly feel the difference when using the new Silicone Spatula Tip Tube as it adapts perfectly to any contour of the face." The silicone dropper applicator incorporates a special valve design that prevents external pollution and content leakage, whilst ensuring the quality of the the entire product. 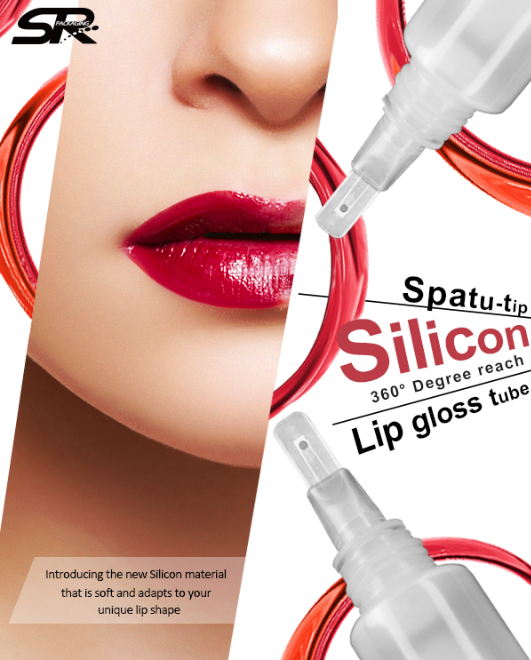 With a tube capacity of 8ml to 15ml, SR Packaging recommends its Silicone Spatula Tip Tube for a variety of beauty and health applications including, but not limited to, lipstick, lip gloss, lip care essence, eyebrow brightening liquid, medicinal ointment, treatment serum and more.